In Thai language, the phrase ‘Mouse fell into the Rice Barrel’. is an analogy for a person who is not born into money or higher social standing, but who marries into a wealthy family, and gains great wealth and treasures through the power of seduction. 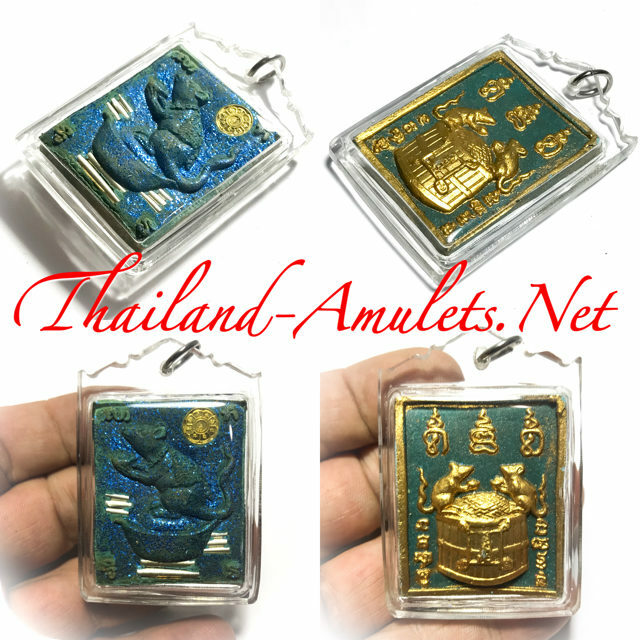 The front face of the amulet features the image of Mice feasting on the overflowing rice barrel .